Perhaps the most important part of any DUI case in Florida involves challenging the administrative suspension of the driving privileges. The administrative suspension is also known as the “on the spot” suspension. After the arrest, the officer will take your driver’s license and issue you a citation that acts as your notice of the suspension. Read the citation carefully so that you understand your rights. If you do nothing, that administrative finding that you were DUI will remain on your driving record for the next 75 years. Getting behind the wheel of a vehicle has become a part of everyday life, and without the right to drive your personal lives, careers and education could be affected. The attorneys at Pumphrey Law recognize the importance of the formal review hearing for several reasons. We work with you to ensure your rights are protected during every phase of the case. The administrative suspension can be devastating to the driver, particularly for someone who has never before been arrested for DUI. Winning the administrative hearing means the driver can continue to drive, pending the outcome of the criminal case. The attorney can also use the formal review hearing to question all of the witnesses in the case under oath. That testimony can often help you win a motion to suppress or exclude evidence. If your case goes to trial, the testimony from the formal review hearing is often the best way to impeach a witness who attempts to change his or her testimony. After a DUI arrest, you must act quickly to retain an experienced Tallahassee DUI attorney to fight the administrative hearing. Call (850) 681-7777 to schedule a free consultation with a lawyer. Pumphrey Law represents clients throughout Leon County and the surrounding areas through the Second Judicial Circuit including Crawfordville in Wakulla County, Monticello in Jefferson County, Bristol in Liberty County and Quincy in Gadsden County. If a person is arrested for a DUI in Florida and his or her BAC registered more than the legal limit, the arresting officer can have the driver’s license suspended. Additionally, if a person is arrested for DUI and refused to submit to a chemical test, his or her driver’s license could be suspended. In the first step of the process, the arresting officer will forward the suspension paperwork to the Florida Department of Highway Safety and Motor Vehicles. If the driver does not respond, the suspension will occur after a 10-day period. However, a DUI arrest does not mean you automatically lose the right to drive. There are options to combat the suspension. During those 10 calendar days after the arrest, the driver is able to file a written request for a formal review hearing. 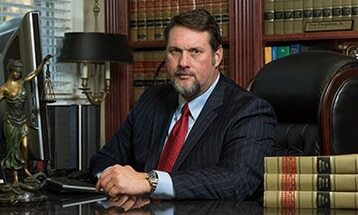 A Tallahassee DUI defense lawyer can help with filing the request and throughout the civil process. The DHSMV must schedule the hearing within 30 days after the request is received. A notice will be sent to the driver and his attorney which notifies them of the day, time and location of the hearing. If the hearing is not conducted within that 30-day period, the delay may lead to the license suspension being invalidated, meaning no administrative suspension will occur. The actions of the Department of Motor Vehicles and Highway Safety must provide a fair process of deciding the case, and the hearing officer must follow the essential requirements of law. The hearing officer’s findings must be supported by competent and substantial evidence. Any violation of due process can lead to the suspension being invalidated by the hearing officer. A hearing officer employed by the Bureau of Administrative Reviews will conduct the hearing. The attorney will obtain a “packet” that contains all the documents the hearing officer intends to admit at the hearing, including citations, police reports, video recording of the field sobriety exercises, the DUI worksheet showing the results of any roadside agility tests, breath test results or an affidavit stating the driver refused a chemical test. Although the hearing officer is not an attorney, the hearing officer is permitted by Florida’s statutes and administrative rules to issue subpoenas, put the witnesses under oath, question the witnesses and admit exhibits into the record. The hearing officer also conducts the hearing and makes a ruling on the issue of whether the administrative suspension should be upheld or invalidated. It is important to understand your rights during the hearing. A criminal defense attorney can represent you at the hearing and help you make the best decisions toward keeping your license. The attorney can build a strong defense, which could prove beneficial to your civil case. The State Attorney’s Office must be notified of the hearing and the issuance of subpoenas. If a witness fails to appear, the subpoena can be enforced through a contempt proceeding which requires a $411 filing fee in the Circuit Court. The courts typically will enforce the subpoena and require the party who failed to appear to pay the costs of the motion of enforcement and reasonable attorney fees. If the hearing officer deems the absent witness to be a “critical witness,” the hearing officer typically will extend the temporary driving permit until after the witness appears. The DUI attorney at Pumphrey Law will typically subpoena all of the witnesses in the case, including the officer who conducted the stop, the arresting officer, the breath test technician and the agency inspector. This also could include passengers in the vehicle or witnesses who saw the arrest. The attorney has an opportunity to question all of the state’s witnesses under oath. That testimony can later be used during pre-trial motion hearings to suppress or exclude certain evidence. Of course, that testimony can also be used to impeach the witness at trial if the witness tries to change his or her testimony in front of the jury. Within one week of the formal review hearing, the hearing officer must send written notice to the driver and his or her attorney of the decision. The hearing officer can sustain, invalidate or amend the suspension. The hearing officer must determine by the greater weight of the evidence whether sufficient facts exist to uphold a suspension after a DUI arrest, according to Chapter 322.2615 of Florida Statutes. If you win the hearing, the administrative suspension will be removed from your driving record as though it never happened. However, if you do have to endure the suspension, a certain hard suspension period will be imposed during which you cannot drive. After the hard suspension period you can request a hardship license. After an administrative license suspension, some drivers may qualify for a hardship license. A hardship license will allow drivers the right to get behind the wheel for certain circumstances. Often hardship licenses are used to allow a person to drive to and from work or school. However, if a person has previously had his or her license suspended for having a BAC over the legal limit, he or she would not be able to apply for a hardship license. For example, if a person is facing suspension for a third DUI and already had his or her license suspended in the past, that driver may not be eligible. In addition, if a driver refused a chemical test, he or she is not eligible to apply for a hardship license. Visit the DHSMV website to learn more about DUI cases in Florida and the administrative suspension. Find the revocation periods for a first, second, third, or fourth conviction. The website also provides information about the length of the revocation for any conviction for manslaughter, DUI with serious bodily injury or vehicular homicide. Also find information about alcohol-related convictions and disqualification for commercial motor vehicles and the CDL holder. After an arrest for driving under the influence of drugs or alcohol, you should seek the services of a lawyer with experience in fighting the Formal Review Hearing. The hearing is critical when fighting to protect your driving privileges in the State of Florida. You only have 10 days after your arrest to demand the formal review hearing. Don’t just waive your rights to this important part of the case until after a consultation with an experienced DUI defense lawyer. Call (850) 681-7777 to discuss your case with Tallahassee DUI attorneys at Pumphrey Law.